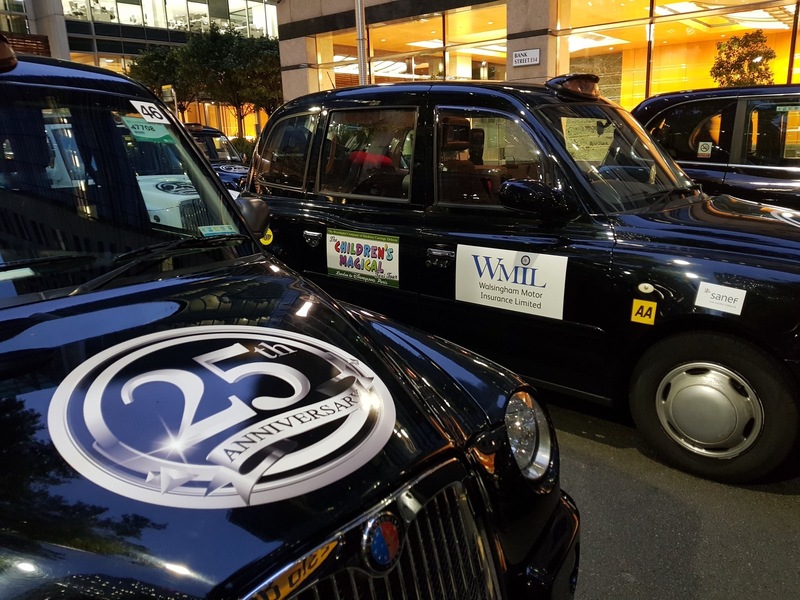 Canary Wharf waved goodbye to a convoy of over 120 black cabs making their way to Disneyland Paris taking sick children on a trip of a lifetime. The event named the “Magical Taxi Tour” has began its 25th visit on Friday transporting over 200 children suffering from a range of chronic debilitating illnesses and life limiting conditions. The 3-day trip to Paris is put together by the Worshipful Company of Hackney Carriage Drivers and fully funded by donations. This amazing convoy of taxis, can be over three miles long when running and consists of 100 plus taxis, City of London Police escorts, Gendarmerie Nationale, London Ambulance NHS Trust vehicles and AA breakdown trucks. Organised annually, this event is only possible with the help of our sponsors who generously give toward the £1,400 per taxi necessary to meet the expenses of hotel, fuel, food, admission charges etc. The taxi drivers naturally give freely of their time and use of their vehicles.